Syed Balkhi here. On July 7th, we launched our 5th birthday giveaway. We also did a fundraiser to raise $50,000 to build two schools. We successfully met our goal and raised $50,584. I have already been communicating with the folks at Pencils of Promise charity, and I will be taking a trip to see the schools next year. Just like last year, I will definitely post updates and photos here. I want to thank all of you guys for your continuous support that you have shown over the years. I also want to thank all of our sponsors who helped made this possible by giving away awesome prizes and contributing towards the fundraiser. We had a total of 169 prizes with a combined value over $28,000. Sunil Saxena from InMotion Hosting and Web Hosting Hub – He donated a combined $10,000 to the fundraiser and entered prizes for the giveaway as well. They offer web hosting with superb U.S. based support. I have a few dedicated servers with InMotion hosting, and I’m extremely happy with their service and support. If you’re looking for hosting your sites, then I’d recommend you check them out. They’re really good people to work with. Pippin Williamson from Pippin’s Plugins and Easy Digital Downloads. I have exclusive interviews scheduled with these awesome platinum sponsors who happen to be very good friends of mine. They have plenty of experience in business and WordPress. These interviews will be going live starting today at noon (every hour). I want to thank our gold and silver sponsors as well. Sucuri, MaxCDN, Bluehost, HostGator, Gravity Forms, WPTouch, Pagely, Web Savvy Marketing, AppPresser, and Pantheon. iThemes, Themify, SeedProd, DirJournal, WPEngine, and ThemeIsle. Before I list the winners, I want you guys to check out our YouTube Channel. We have been releasing 2 WordPress video tutorials a day. If you are a visual learner, then make sure to subscribe to our WordPress videos (it’s free). Ok now here is the list of winners. All winners will receive an email within the 24 hours of publishing this post. If you don’t receive an email from us within the next 24 hours, then please get in touch. Darko, Damian Konopka, Kiley Hernandez, Tz Lewandowski, Phil Harrison, Tanya Mason, Alaa Al-din Salama, Komara, Adhitya Fernando, Julie Kuehl, Marie-Louise Hylleberg, Jesus Diaz, Andor Nagy, Nivijah, Deepak Kumar Sah, David Cox, Simon Aspinall, Erika Krumbeck, Marcus Tibesar, Budi, Grace, Terri Hall, Dheerendra, Walt Nelson, Fairina, Corinne, Muhammad Idrees, Romy Mlinzk, Jessica Maldonado, Orla Coffey, Christine Lee, Jeanene McVey, Efrain Rivera, Erdal, Edwin, John MacKenzie, Shawn Selanders, Paruchuri, Jhoana Paula Dela Cruz, Jennifer Meyers Bowers, Nguyen Quang, Chris Zacker, Martijn, Suresh Verma, Jessica Delgado, Adrian Mini, Craig King, Martin Kapma, Akash Khanna, Minesh Rai, Stacey Corrin, Ariel Rule, Fawad, Kenneth Schultz, Tom Lin, John Brady, Michael Kiourdis, Kohjonathan, Stapal Singh, Annabel Treshansky, Thomas Zickell, Bilal Ahmad, Elvira Tolen, Anthony Hortin, Karen Baatista, Himanshu Arora, Devanshi, Matthew Stratford, Bob Dunn, Jack, Dan, Alen, Deb Ballard, Suraj Singh, Amna Zafar, Rahul, Navjot singh, Brahim A. O’chelh, Olivia Morris, Abdulsalam, Christina Amador, TW311, Taufik Ramadhan, Lisa Melegari, Riëtte Cawthorn, Irfan Yulianto, Aggelos, Dave Warfel, Keely Worth, Daksh Pokar, Rosemarie Reynolds, Steven Roh, Maria Apostolopoulou, Lucas Dechow, Mark Davison, Hadie Danker, Stanisław Sipowicz, Mark Tong, Rajdip Rathod, Philip Erb, Carolyn Giroux Mehdi, Paul K Saunders, Firas Abo Assaf, Linnea K McCrary, Shivam Kapoor, Muhammad Bilal Khan, Pragalbh, Tom, Perzen, Tek, Copinger, Toby Wilkinson, Beant Haarsma, Greg Davis, Anthony Egerstaffer, Hilal, Ben, Travis Pflanz, Shumail Mohyuddin, L Danielle Baldwin, Javier, Roduxso Nguyen, Tony, Tomaz, André Galdino, Vincent Olaer, Magnus, Tim Dehring, Gee Meng Gan, Erin Smith, Thao Nd, David Smith, onspeeduser, Animish, Sunit, Robert McCartney, Izak Jackson, Xanter Maly, Yakup Wirgapa, Gorakhnath Sirsikar, Lanny Morris, Varun A P, Rui Cruiz, Animish, Jacqueline, Alice Elin, Minto Marvello, Damian Pang, Glenn Mulleners, Mosh, Greg W, Dan Carr, Melvin, Eryn, Muhammad Qasim, Mohssine, Adam Teece, Devkumar Bhatia, Lisa Rosatto-Green, Melvis Leon, Ross Pirsig, Fahmi Jufri, RohTakhitani, Andrew Saint, Serine Memo, Hammal Mansoor, Tim Weston, Wellbein Borja, Jeremy Mayo. Thanks again for all your support. I will keep everyone posted about the progress of the school. I now love WPBeginner even more! Congratulations everyone! 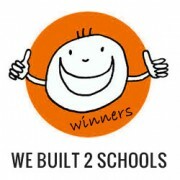 Well done Syed and team… Can’t wait to see the photos and updates as the project gets going. Keep up the wonderful work. Cheers Brent. Respect to all the donors, and congrats to all the winners.